I have to admit to you, one thing I am is a snacker. I love to have little snacks throughout the day to keep me from being hungry and from eating bad food or worse yet coming home from work hungry and just going crazy by eating anything and everything in site. 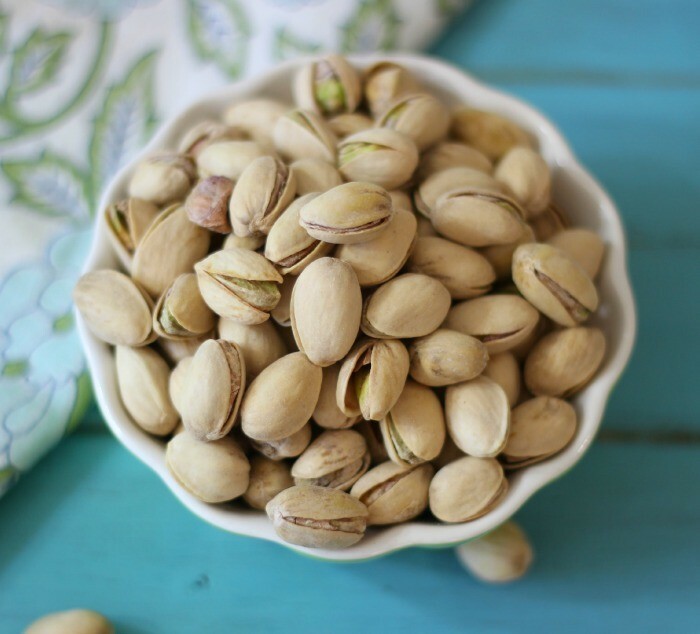 Today I am sharing with you one of my all time favorite snacks and that is pistachios! Have you ever had a pistachio? If not, your missing out! I simply love them and not only do they taste good but they are also known as the Skinny Nut. Why you wonder? Because 49 pistachios are one serving and are only 160 calories, a lot less than any other nut. They are full of fiber, protein, low carb and a healthy fat. I simply adore these little Guys. 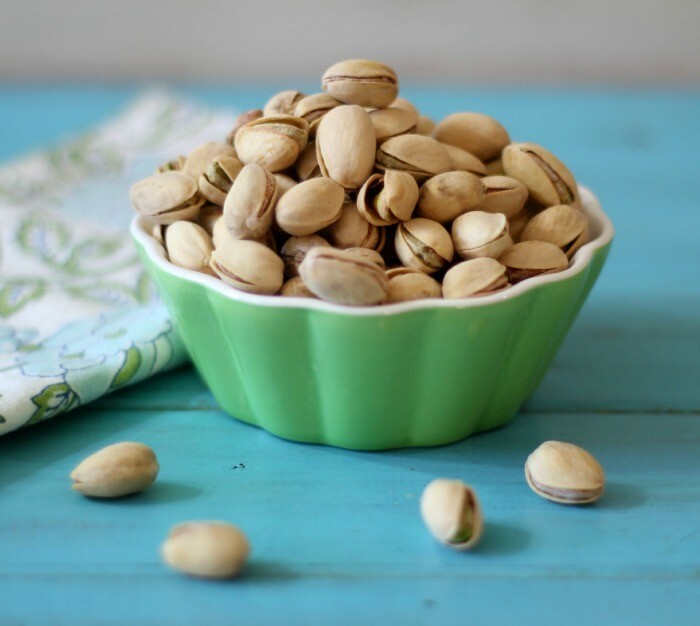 Did you know that with the shell (don’t eat the shell) that you can enjoy about 30 pistachio kernels for 100 calories? When you eat them from the shell it also takes time to eat them, so your not just grabbing handfuls, but your taking your time to enjoy the pure pleasure of a pistachio. I love to keep a bag of them in my desk drawer at work or I like to have them before a workout to give me the much needed energy that I need and believe me when I come home from work. When I have no energy, pistachios get me through my workout rut! A lot of power in a nut! 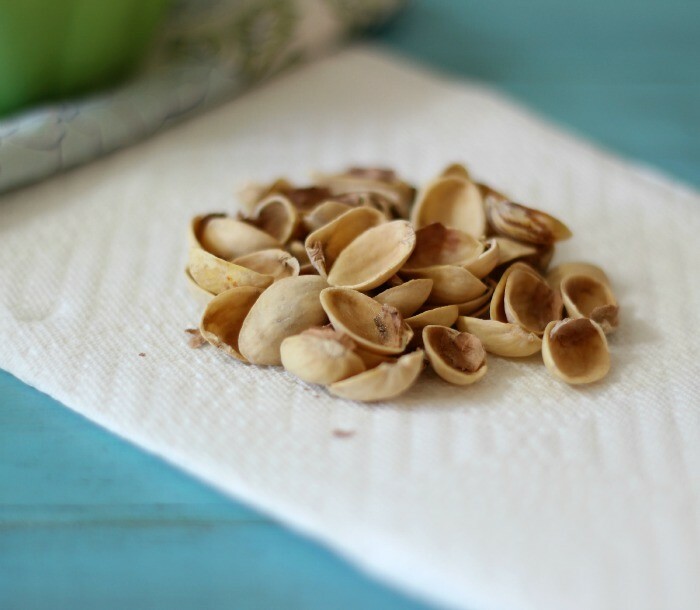 Pistachios are not only great on there own, but they are great paired up with something healthy like apples, pears, and whole grain crackers. In order to Fool Myself Full it has been proven that people who ate in-shell pistachios ate 41 percent fewer calories compared to those who consumed shelled pistachios. 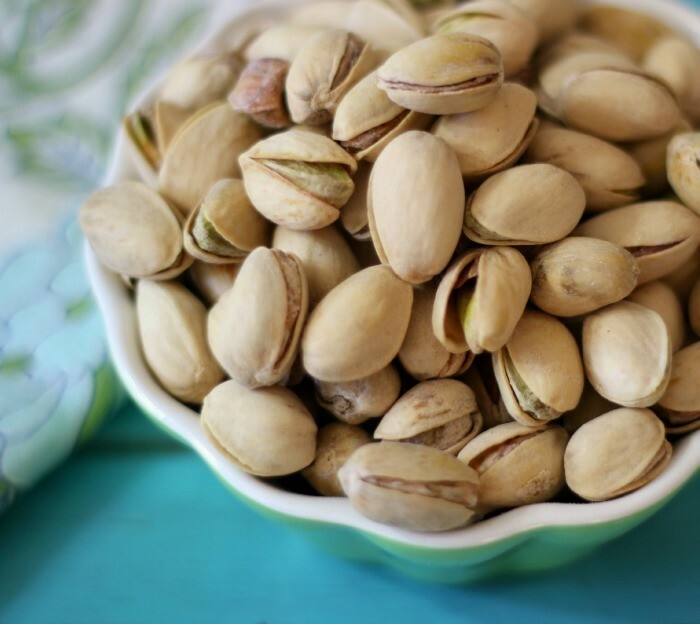 Those who chose shelled pistachios consumed an average of 211 calories, while those who chose in-shell pistachios consumed an average of 125 calories. The Pistachio Health Institute is having a giveaway where you can win a year supply of pistachios! Whoohoo!! Enter the Fool Yourself Full sweepstakes from now until April 30 for your chance to win a year’s supply of pistachios and a truly unique pistachio bowl to help you truly enjoy your pistachio snacking! Just go here! I do hope you enter the giveaway, I already did.